The Worthing & District Table Tennis Association 2016/17 season was brought to a close on 20th April at North Lancing School by the Invitation Cup competition and presentation of trophies to League players. An audience of about sixty was treated to an exciting display of high quality table tennis by six of the top Sussex players. 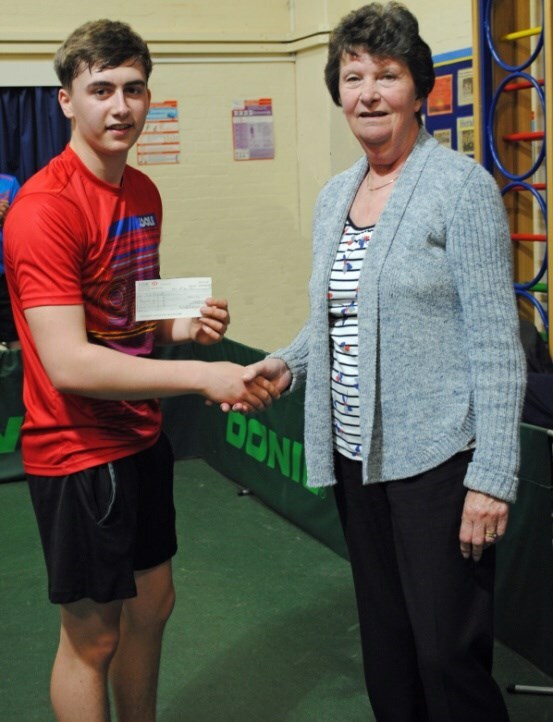 • Josh Bennett – Reigning Champion and part of the Sussex Senior 1st team who won the County Championships this year. • Craig Bryant – A previous winner of the event, ex-England International and Commonwealth medallist. • Jack Bennett – Another previous winner, and played alongside his brother to win the County Championships this year. 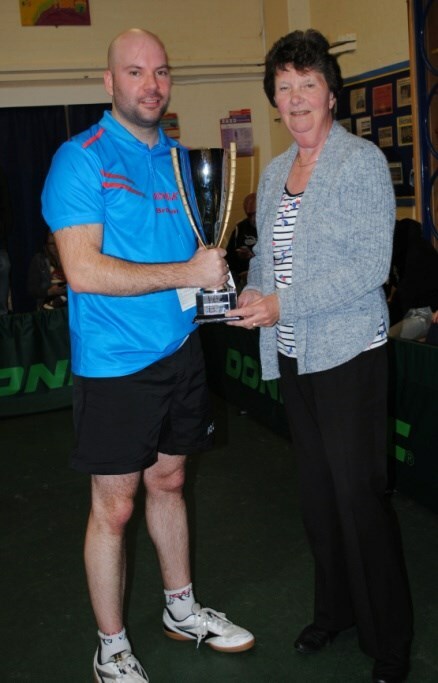 • Paul Carter – The reigning Sussex champion, making his debut in the event this year. • George Hazell – Part of the Blades A team that won the Crawley Premier division this season. • Martin Gunn – World Championship of Ping Pong 2017 finalist, another debutant. Trophies were presented by Jenny Mansell, the League President .